Joanna's restaurant on Crystal Palace high street has been a FoodieForce family favourite for years. My parents used to take me there as a child and it holds some wonderful memories for me. The restaurant was set up in 1978 by the Ellner family and has been a neighbourhood favourite ever since. There lovely son William runs the restaurant now. 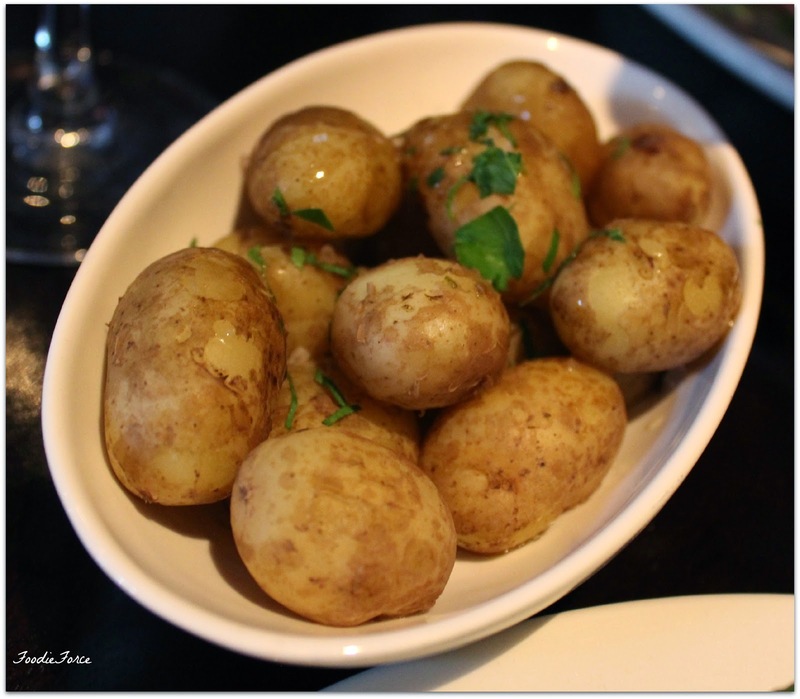 The restaurant can best be described as modern British cuisine. Once through the front door you are taken into a friendly bar where people come to relax after a hard day’s work with a wonderful cocktail.The restaurant has dark wooden panelling and beautiful art work that adorns the walls. Joanna's offer an a la carte menu containing choices from chicken, steak, seafood, and burgers. 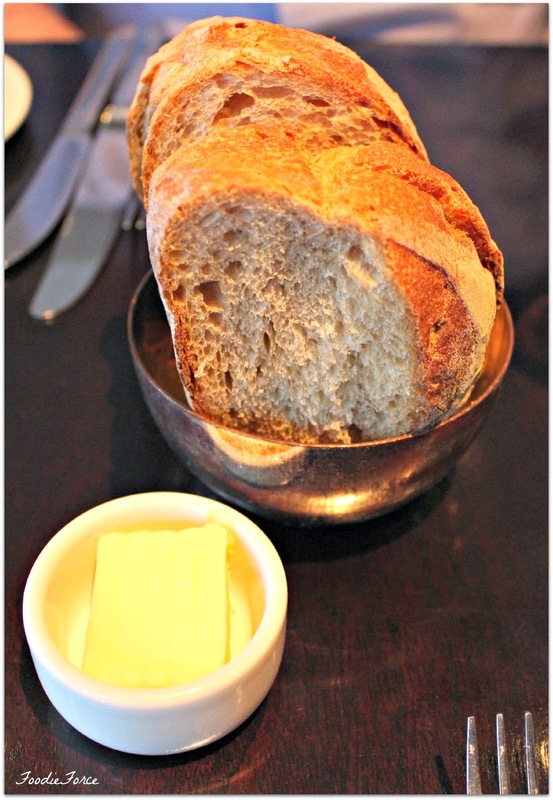 For starters we begin with Sourdough and salted butter (£2.50). 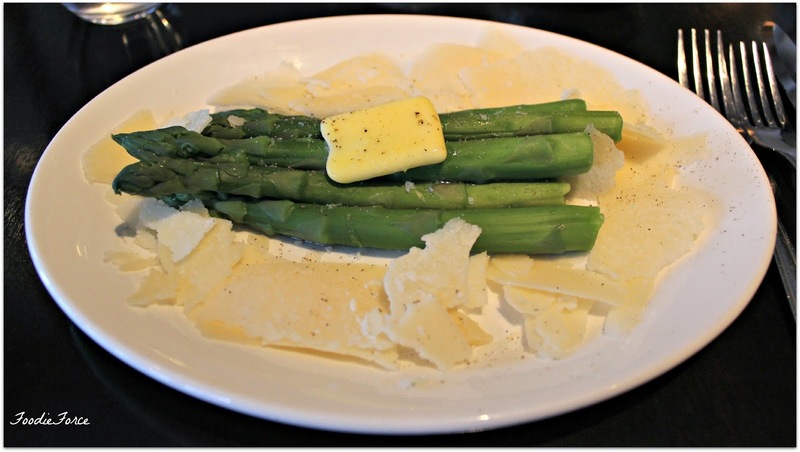 I liked that the chef didn't scrimp on the parmesan. The other half opted for chicken liver parfait, onion confit and brioche (£7.50). I was reliable informed that the parfait was delicious and combined brilliantly with the sweetness of the brioche. I cannot tell you as it was devoured very quickly. 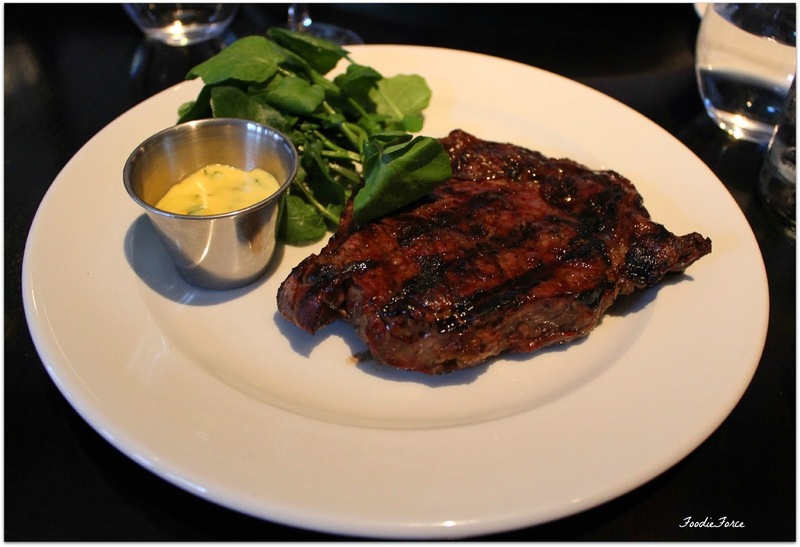 Our mains, I choose a 28 day aged prime rib-eye steak (350g) Bearnaise & fries (£28.50). The steak was a sizeable portion and you would have to have a mighty appetite to finish this dish. The quality for the price was not great as it had a considerable amount of gristle. My view is if you are going to do steak and charge nearly £30 the quality has to be exceptional. In my mind you cannot beat the Gaucho Grill. 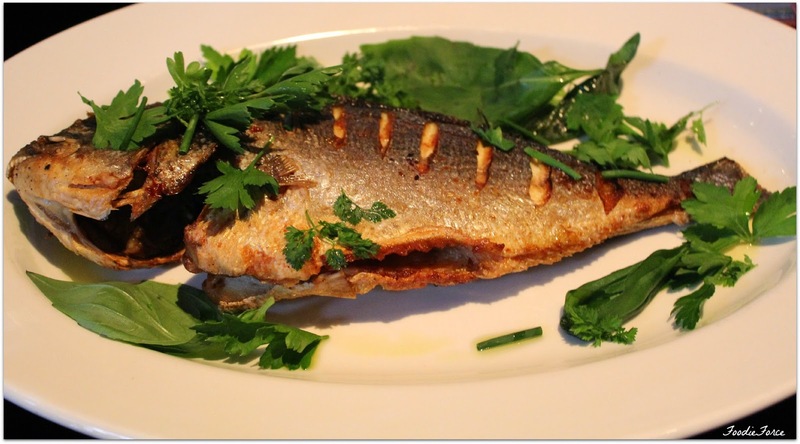 The herb roasted whole black bream (£16) was cooked perfectly and was delicious. For sides garden peas, chervil (£3) and Jersey Royals (£3) were the perfect accompaniment to the fish. I must admit that by this point I am rather full but nothing beats sharing a dessert and Joanna's have lots of lovely choices. For those of you who find it hard to choose just one dessert, Joanna's provide a tasting plate (£9.50) with sizeable portions. 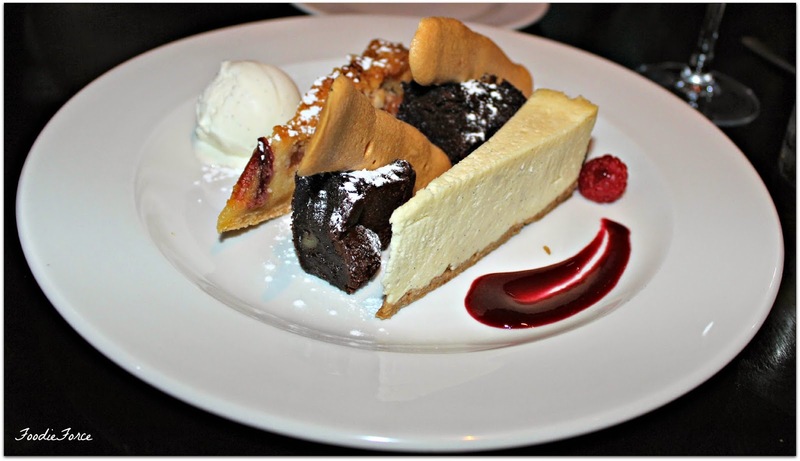 Chocolate brownies, honeycomb ice cream, baked honey cheesecake, mixed berries, plum, almond tart and lemon Crème fraîche. We had a lovely evening. Top tip if you’re visiting the restaurant Monday-Thursday Joanna's have a wonderful set lunch and dinner; two courses cost £15.50 and three courses £20. If your visiting the lovely Dinosaur Park at Crystal Palace, Joanna's is also the perfect place to stop for breakfast or Saturday brunch. All restaurants should serve dessert platters, I can never decide what to order and always want one of everything! £30 for a steak?! Eek, definitely a shame about the gristle. The rest of the food looks amazing though, specially the dessert tasting plate- yum! It looks delicious! It's a pity that the steak doesn't great quality. That would have frustrated me as it was expensive! Ooh this looks lovely, and that desert looks like my kind of heaven!! The liver parfait your husband ordered looks so good! I always go for Bearnaise sauce for Steak, it looked really good but shame about the gristle at least everything else looked delicious. The dessert platter looks incredible!! Honeycomb ice cream is my all-time favourite... after cheesecake. And brownies!